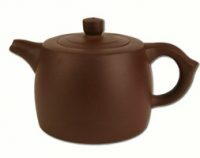 The Hira teapot features a symmetrical pattern which looks like beads or droplets on the surface of the water. The pot has a Matte black outer finish with black enamel inside. Includes a removable stainless steel mesh infuser for brewing loose leaf teas. Should not be used on the stovetop. 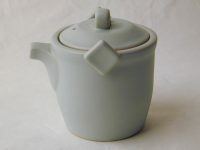 7.25″ diameter (not including spout), 3.125″ height.